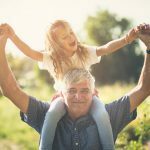 Home » Blog » Dental Technology » What’s the difference between a crown and a veneer? You may have heard both the terms veneer and crown when researching cosmetic dentistry. But what do these words mean? 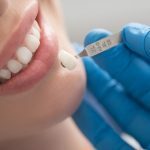 Read on for all you should know about both veneers and crowns and how they can help you get the smile of your dreams. A dental crown is essentially a cap that usually covers an existing tooth. It may be used to strengthen the tooth that is already there, or to improve its appearance. Teeth that are discoloured, fractured or misshapen are all potentially treatable by crowns. Crowns also put in place during dental implant procedures and after a root canal. They can be made of porcelain, ceramic and even metal alloys – the material will depend on what is best for you particular tooth. Crowns can be made of porcelain, ceramic and even metal. Getting a dental crown usually happens in two visits to the dentist. First, your dentist will take x-rays to examine the health of the tooth and will then file it down, after numbing the area, so that a crown can fit over top. The dentist will then take a mould of the newly-filed tooth and will send it to have a crown made after installing a temporary crown in the meantime. During your second visit, the temporary crown will be removed, and the permanent crown will be cemented in. Veneers are thin shells that are placed over the front side of the existing tooth to improve the tooth's appearance. 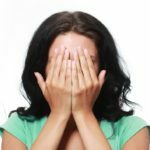 They can hide discolouration, cracks, chips, unevenness and can even fill in gaps between teeth. Veneers are made of either porcelain or resin. Porcelain has the advantage of being great at resisting stains while resin requires less initial tooth removal due to its thinness. The material of your veneers will depend on what you and your dentist decide is best for your teeth. Veneers are thin shells that cover your tooth's imperfections. The first out of the three appointments you'll need will be a consultation with your dentist. During this appointment you'll discuss what end result you're looking for and your dentist will examine your teeth and may take x-rays and/or impressions. 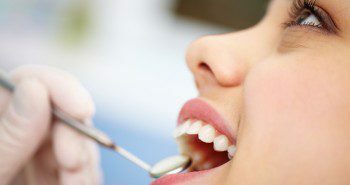 During your second visit, the dentist will remove some of the enamel from your teeth to make room for the veneers that will cover them and will then take impressions of your teeth to have them made. Finally, at your last appointment, your dentist will make sure the veneers fit properly and will permanently cement them to your teeth. For more information about getting crowns or veneers, contact City Dentists today. 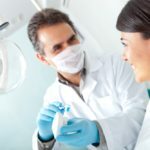 What’s the difference between ceramic and porcelain dental crowns? 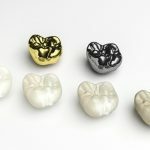 What interesting materials are dental crowns made of? 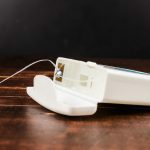 Next postWhat do you need to know about gingivitis?